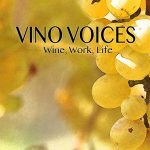 Roundwood Press believes that creating a unique path through life can provide personal satisfaction. The path we take at Roundwood Press is to inspire others to go their own way. Our message is simple: choose your own path, and then change your thoughts to change reality. The books sold here – fiction and non-fiction – resonate with that theme. We believe that a fresh vision, combined with a positive attitude and open mind, can cause the world to expand, and opportunities to multiply. The forest of life has plenty of room for creating fresh trails. The fastest, most traveled paths, are never the most intriguing. Why are we called Roundwood Press? The roots of this publishing company come from Ireland. Roundwood is unsawed timber used for poles. 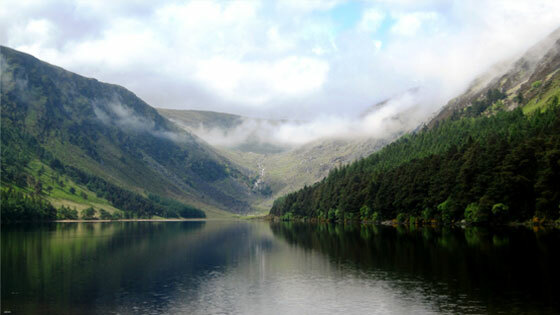 It’s also the name of a highland town in Ireland – a sleepy nook in the Wicklow Hills with chilly mist, ample silence, and excellent Guinness. Roundwood Press Online sells electronic and hardcopy (fiction and non-fiction) books by T. Mullen – about the powerful magic of serendipity and travel. Genres include historical fiction, inspiration, and travelogue. Each is intended to broaden perspectives and entertain. They revolve around the truth that changing thought changes reality. Ancient battlegrounds, misty lakes, rolling mountains and unexpected passions provide the magic of Roundwood country. Mullen explored this land while growing up, and his books share qualities with this rich landscape – lush geography, fiery history, the lure of exploration, powerful and intimate encounters, and wild waters that often draw these themes together. Titles are included in the following series. Remember – you don’t need to buy a Kindle or Nook. Just download the free Kindle or Nook app onto your computer or phone or iPad. Some titles – as indicated – are also available as iBooks. This includes a travelogue – with dozens of unique characters who tell what draws them to the mightiest rivers in the United States. 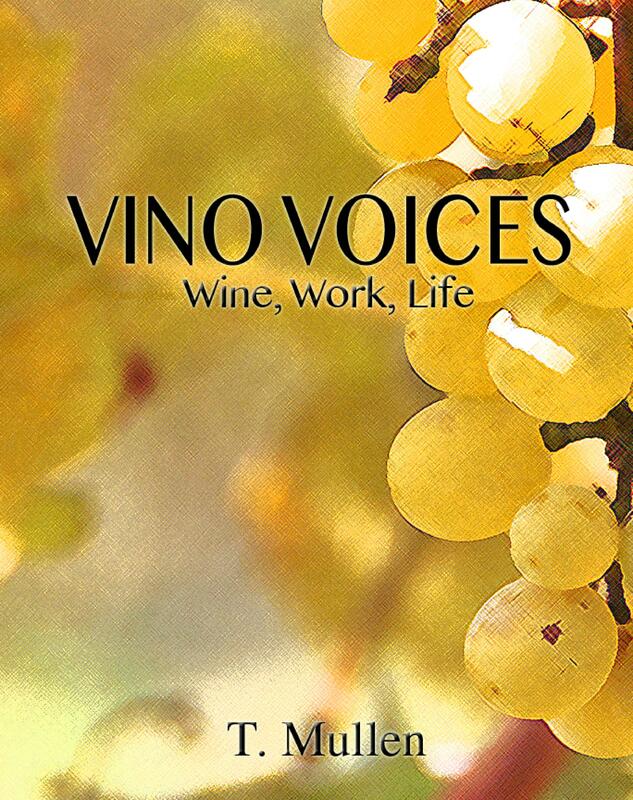 A second book chronicles the insights and passions of more than fifty people working with wine throughout the world. Three books (including hundreds of color photographs) tell of travails and triumphs in providing drinking water to villages in Malawi, Namibia, and Angola in Africa. Encounters with dictatorships, witchcraft, land mines and unusual personalities reveal the bizarre beauty of working off the beaten track. Two books reveal the rewards of paying attention to powerful coincidences, or ‘synchronous’ events. Travel stories about mountaineers, authors, explorers, and artists – combined with mysticism from Carl Jung – highlight practical ways to help balance work with play, and intuition with intellect. A third book uncovers simple ways to merge project planning with visualization techniques to achieve unusual, powerful results. These pamphlets include concise and practical leadership lessons derived from an unusual set of historical figures. These include Brian Boru, Ireland’s greatest ever chieftain who united all tribes of the island a thousand years ago to smash the power of Viking invaders. Upcoming pamphlets will include lessons from a Carthaginian general who led an army and elephants over the Alps to defeat the Romans, as well as lessons from the most powerful medieval female ruler of French Aquitaine. Stories spanning millennia weave historical fact with fiction along great rivers within Ireland, England, and Italy. Faith, philosophies and characters of rough Gaelic chieftains, medieval architects, and Renaissance leaders – such as Da Vinci and Dante – are challenged in tales based on real events about shipwrecks, conquests, warfare and romance. Action stories spanning the globe tell of risqué young couples forced to solve environmental crimes – whether smuggling wildlife or eradicating an energy source that can deliver free drinking water throughout the world. I have spent thousands of hours and dollars researching and writing these works. It is fair to charge a reasonable amount to enter worlds and stories that have been thoughtfully created over the space of years. Please respect that effort, and do not give copies of these books away to others for free. Signup to get emails about Roundwood Press news!